Allow me to introduce beautiful Franconian Switzerland. 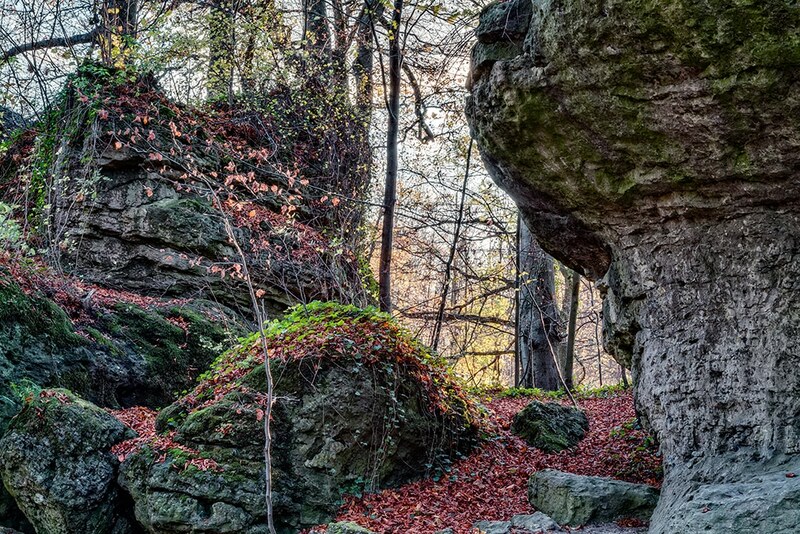 This region is not far from Nuremberg and got its name in the 19th century when Romantic artists and poets compared its landscape to Switzerland. Located between the Pegnitz River in the east and the south (a river that also flows through Nuremberg), the Regnitz River in the west (a river that also flows through Bamberg) and the Main River in the north. Its relief, which reaches nearly 2,000 feet in height, forms the northern part of the Franconian Jura. 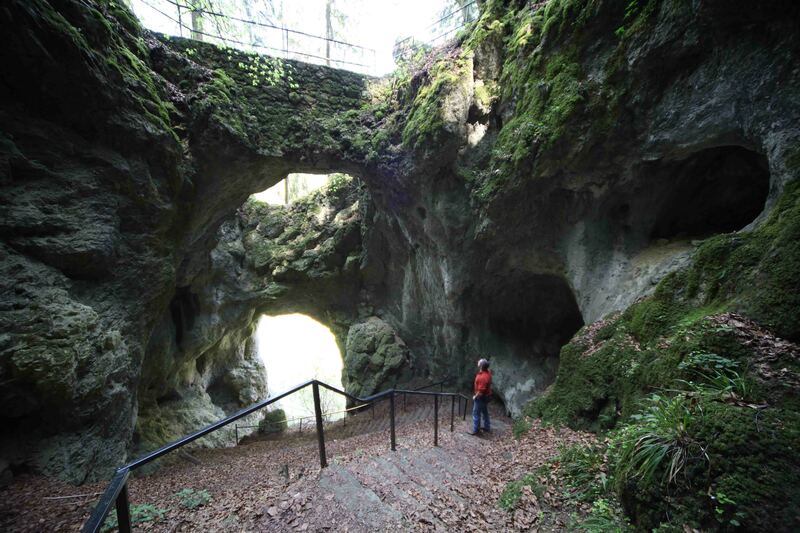 The many caves found in Franconian Switzerland are among some of biggest tourist attractions in the area. The first tourists began arriving at the beginning of the 19th century thus making the region one of the oldest tourist destinations in Germany. In addition to the countless hiking trails, the area is also popular for its outstanding rock climbing and canoeing possibilities. Most popular of all, however, is Mother Nature itself. Another thing to do is ride the Franconian Switzerland Steam Railway which is a museum railway based in Ebermannstadt that operates steam and diesel special trains on Sundays and public holidays. As if the mountains, caves, castles, and nature weren’t enough; the Franconian Switzerland region is also famous for its high density of traditional breweries as well. In fact, it has the highest brewery density in the world! 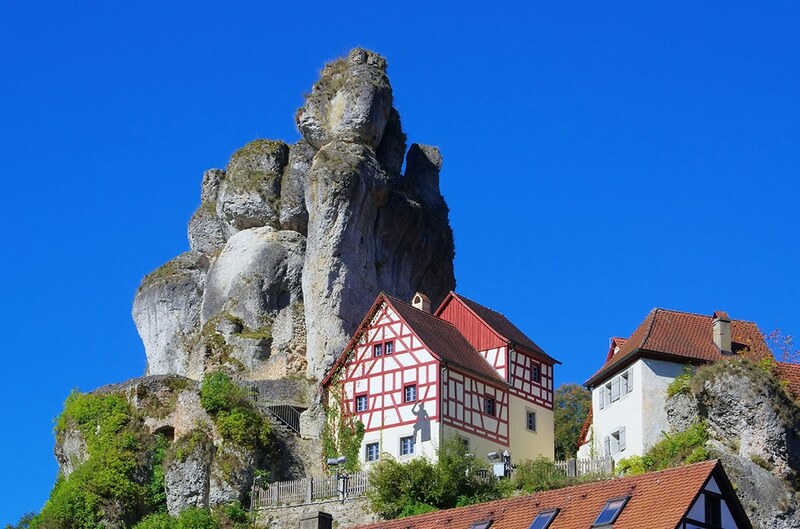 If I have whet your appetite for more, please allow me to put together a customized Beautiful Franconian Switzerland itinerary for you. Alternatively, you can also take my Franconian Village Beer Tour to experience Franconian life outside of Nuremberg and wash it down with a beer or two. Either way, please contact me by clicking here.